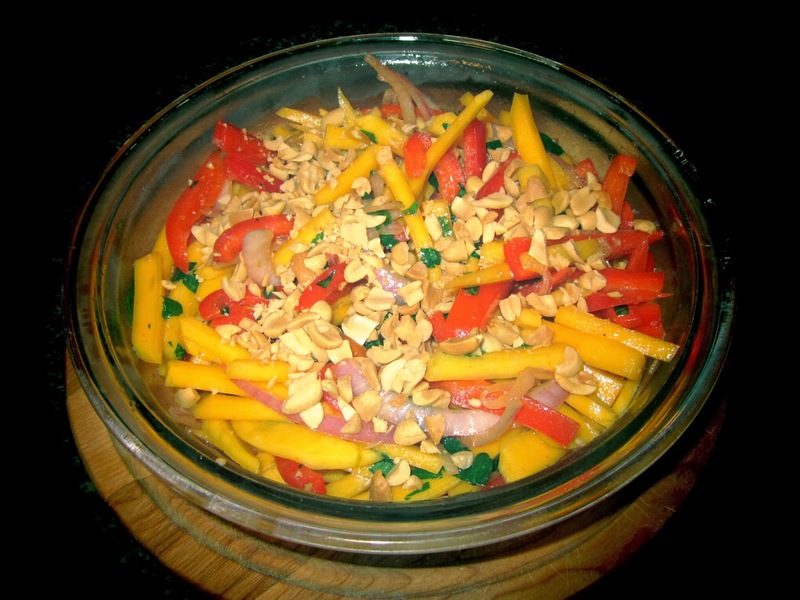 To complete my delicious Thai dinner, I made a quick and easy Mango Salad. The combination of sweet and spicy flavours, the contrast in textures between the soft mangoes, crunchy peppers and peanuts, is a perfect way to cleanse the palate after such a rich and flavourful meal. Soak the onion in cold water for 15 minutes. Whisk all ingredients for the vinaigrette together and set aside. Assemble the salad ingredients, dress with the vinaigrette and top with the crushed peanuts and cilantro. Serve chilled.